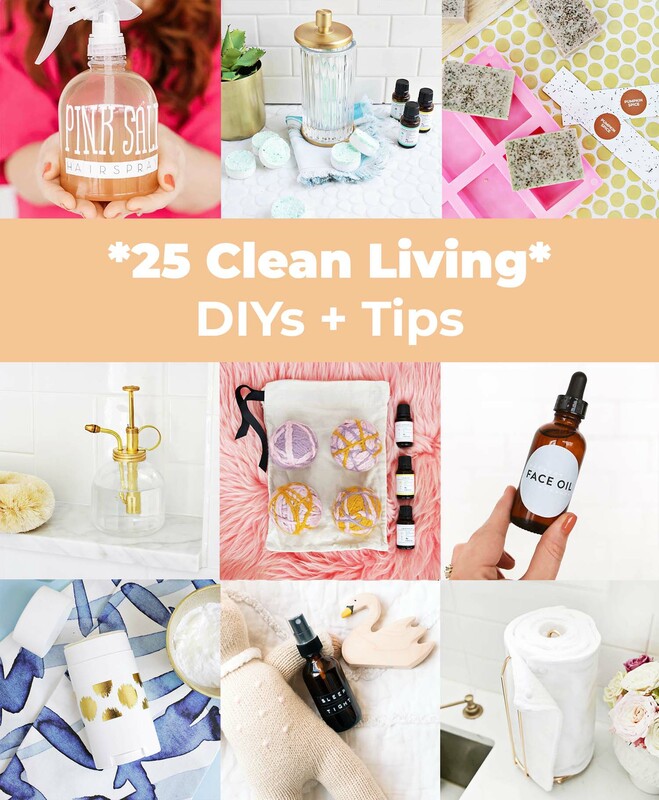 Our clean living archive has grown so much over the past few years (yay!) 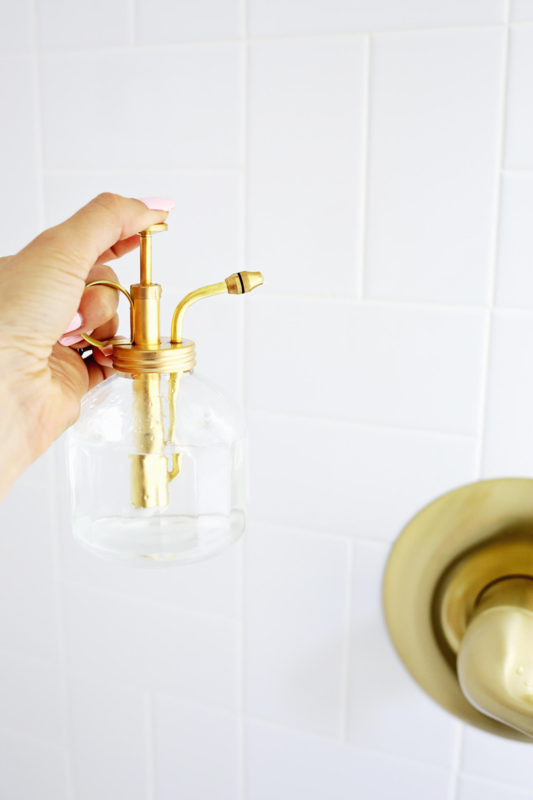 that we decided it was time to create a roundup of our favorite clean DIY projects, along with a few tips. 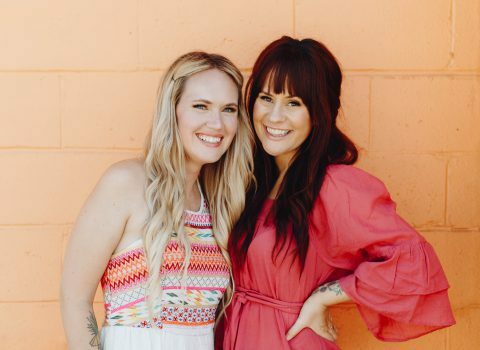 We’re passionate about replacing toxic products with clean alternatives, using essential oils daily, and educating our readers about little changes that can make a big difference in your health and overall well-being. Ready to see what made the list? 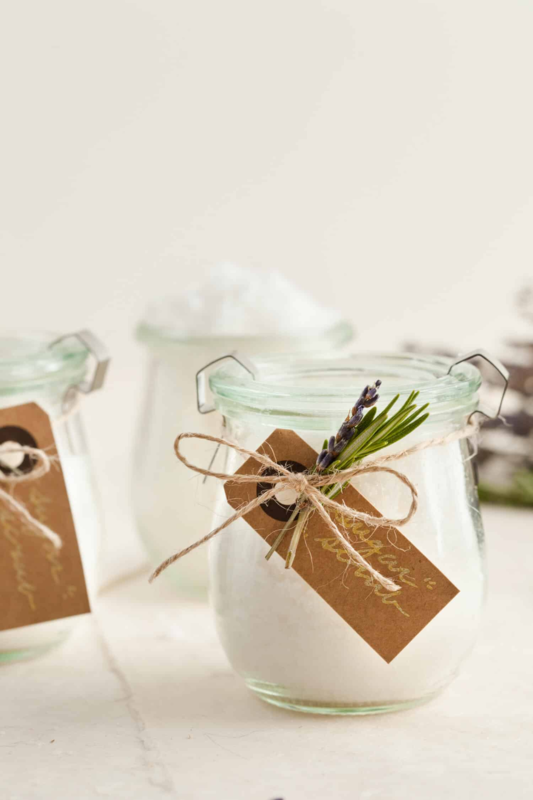 If you get sick this winter, eucalyptus shower melts will help clear your congestion and make it easier to breathe. Bonus: They will make you feel good even if you aren’t under the weather. Give your hair beachy texture and waves with Elsie’s natural pink salt spray. 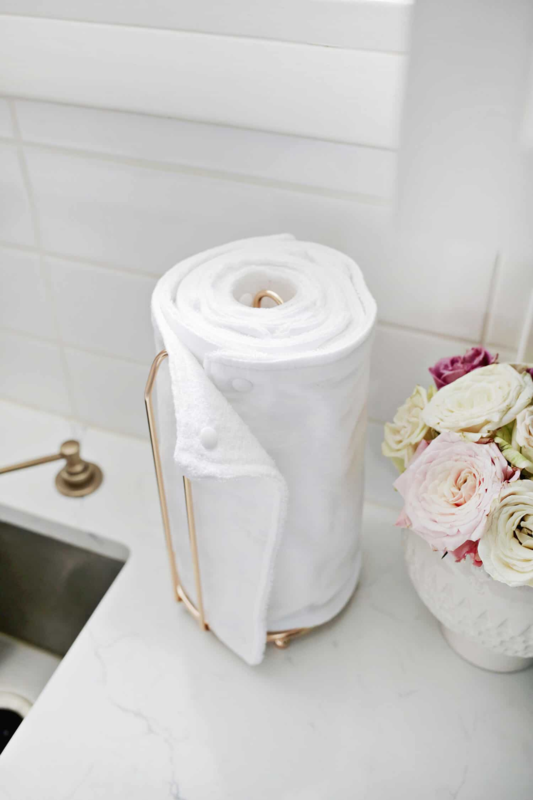 How often do you buy paper towels? If you feel prone to using them for everything and want to cut back, this post is SO helpful and inspiring to make the change. 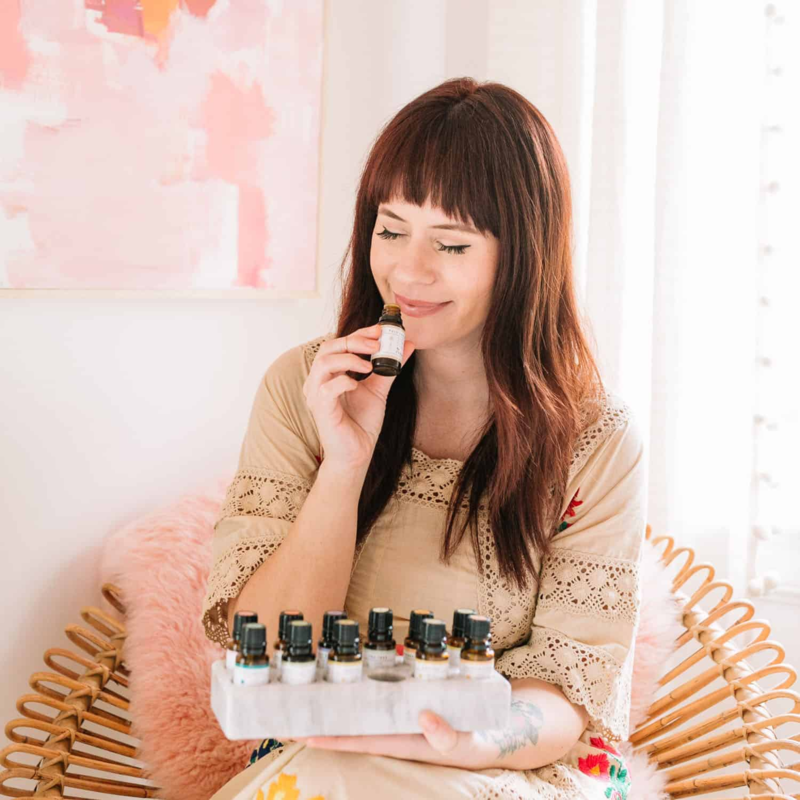 Before we dive too deep about essential oils, we highly recommend reading Elsie’s guide to get started. 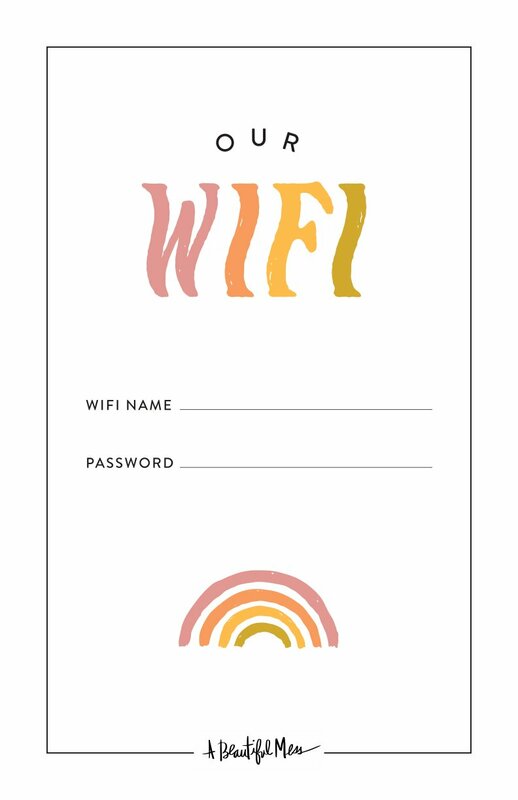 It might seem overwhelming at first, but it’s actually super easy to incorporate them into your routine. You buy a really cute (pink!) 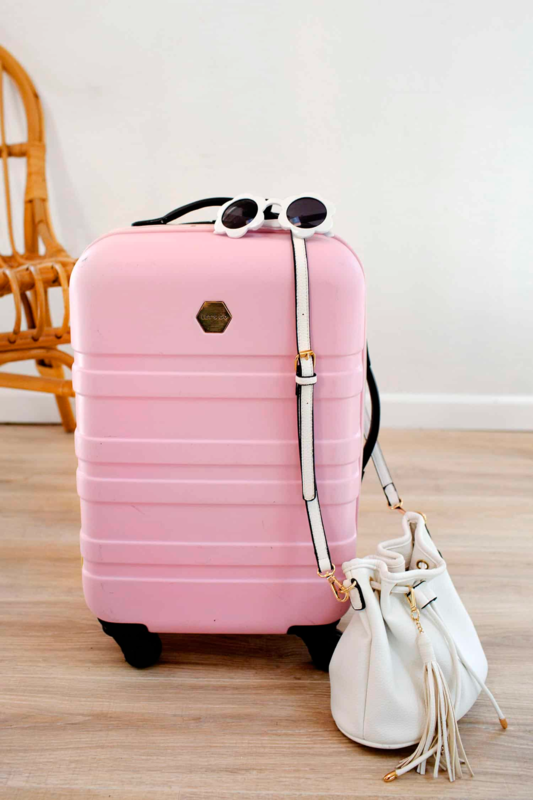 suitcase and then … it looks terrible after you travel a few times. Can you relate? 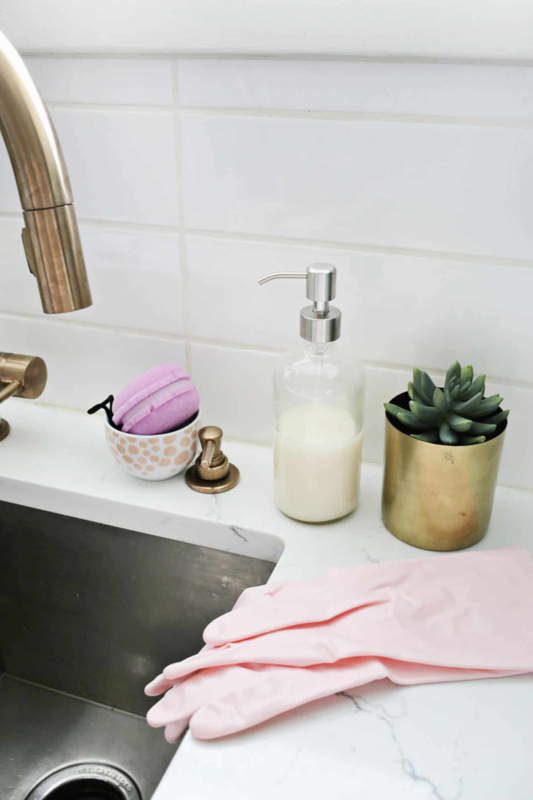 Here’s Emma’s go-to cleaning solution. 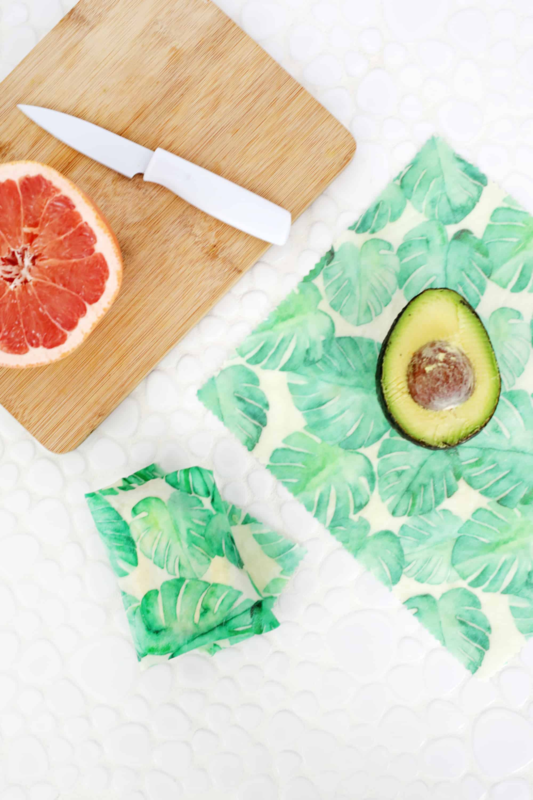 Instead of using plastic wrap to store and cover our leftovers, we love using these reusable beeswax wraps instead. 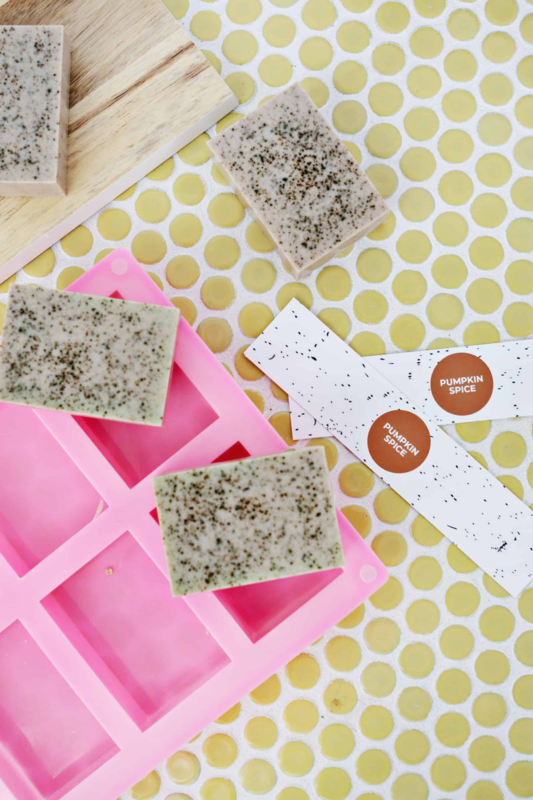 Homemade soap that doubles as an exfoliator. And it smells so good! 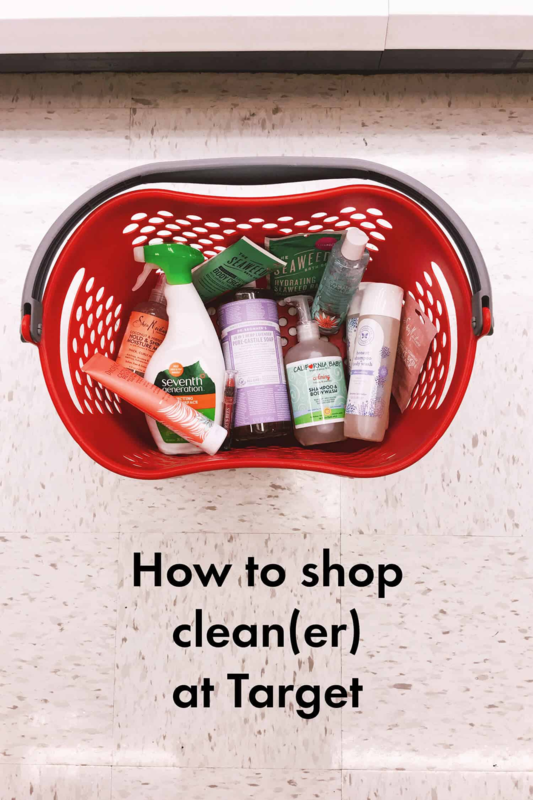 The next time you go on a Target run, bring this guide with you to find all of their clean products in the beauty, household, and children’s aisle. 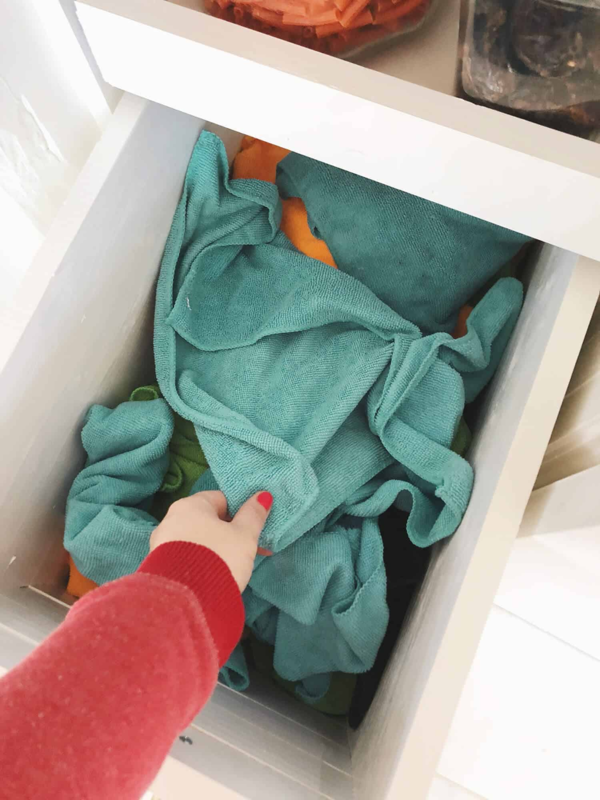 Did you know you can replace dryer sheets (filled with artificial fragrance) with wool dryer balls? An unfortunate side effect of winter? Dry nails and cuticles. This homemade oil is so nourishing. 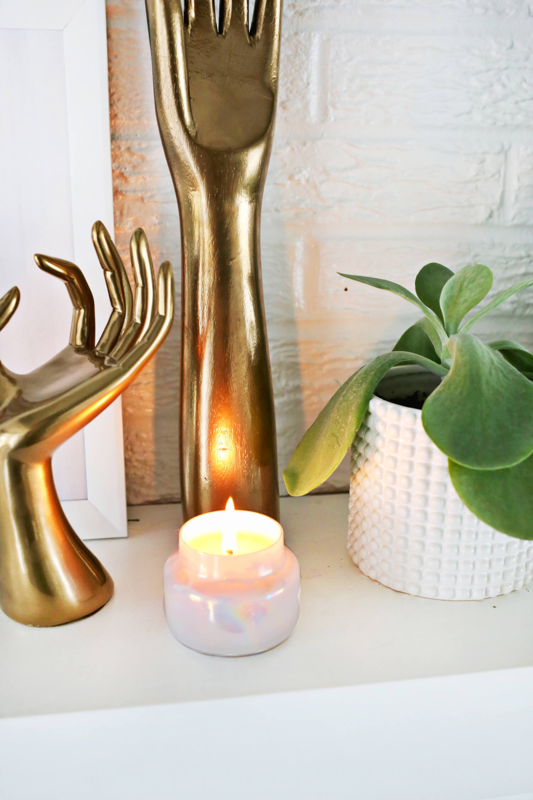 Add a warm glow and a light, honey scent to your home with beeswax candles. 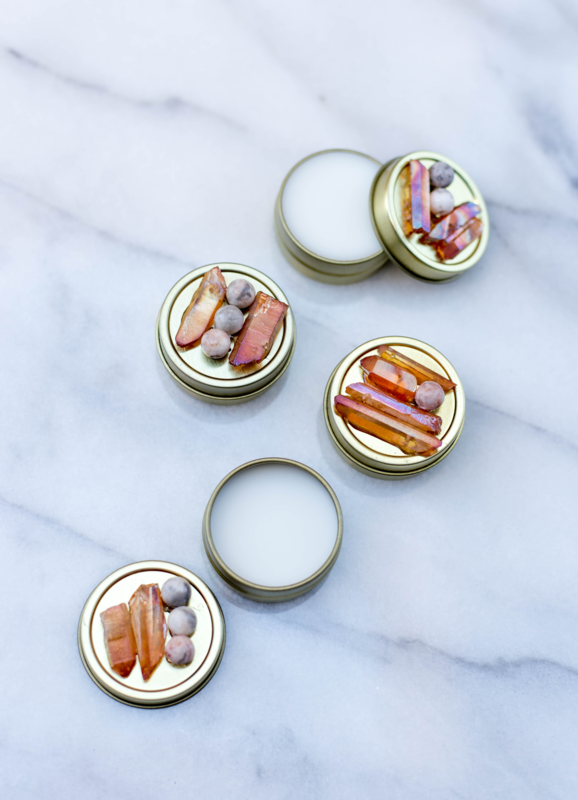 You can add your own essential oils to these, too. 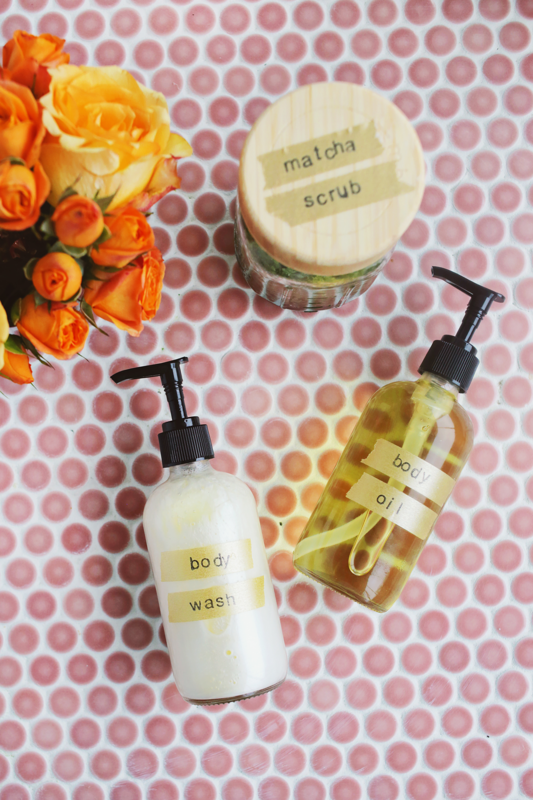 Emma swears by this homemade body oil to keep her skin from getting too dry. Tip: Use it on your feet (with a comfy pair of socks) before bed. 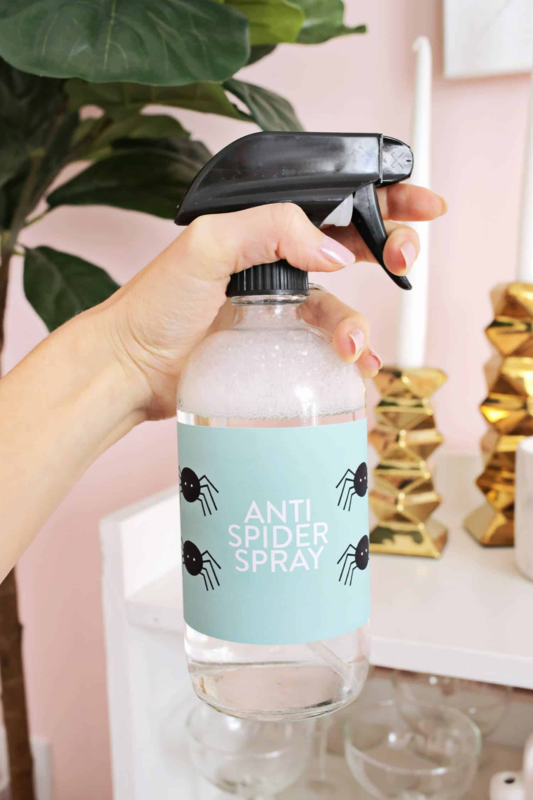 If spiders are a problem at your house, use an essential oil-based spray instead of using harsh insect repellant. 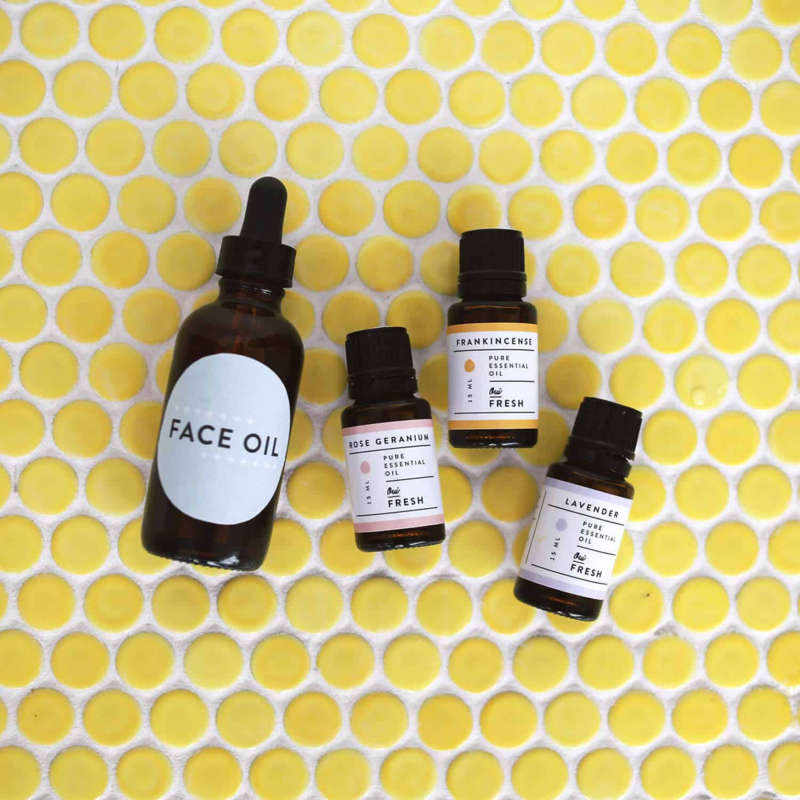 Contrary to belief, face oils actually keep your skin from breaking out, and they are extremely nourishing. Once you start using them, you won’t want to stop! Here’s how you can make your own. 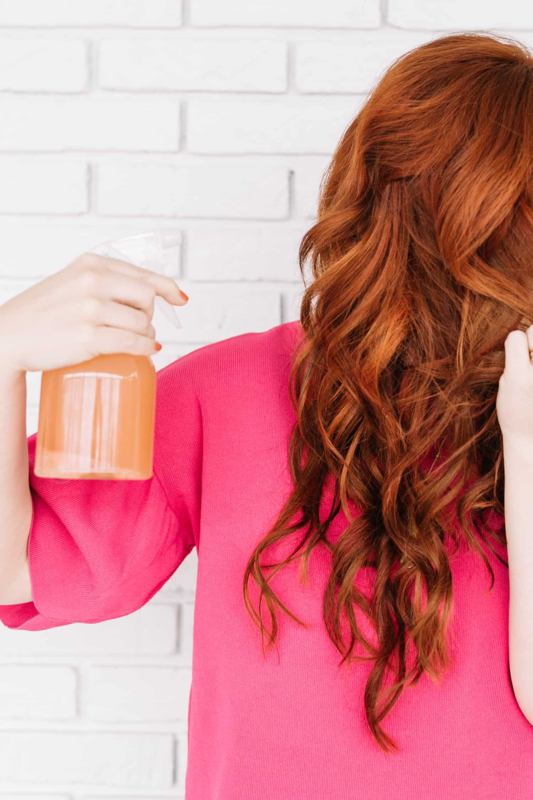 The best non-toxic, homemade dry shampoo. 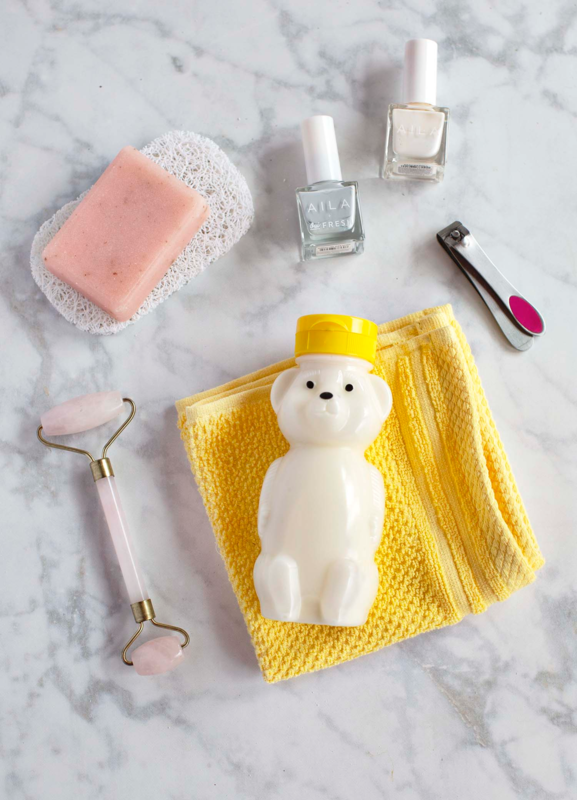 We love using a daily shower spray, but it’s hard to find a clean alternative—until now! Click here for an easy tutorial. Speaking of showers, we love Elsie’s homemade shower products like matcha sugar scrub, lemongrass body oil, and body wash.
Meet the “unpaper” towel roll. This is similar to Elsie’s method of using microfiber cloths instead of paper towels. 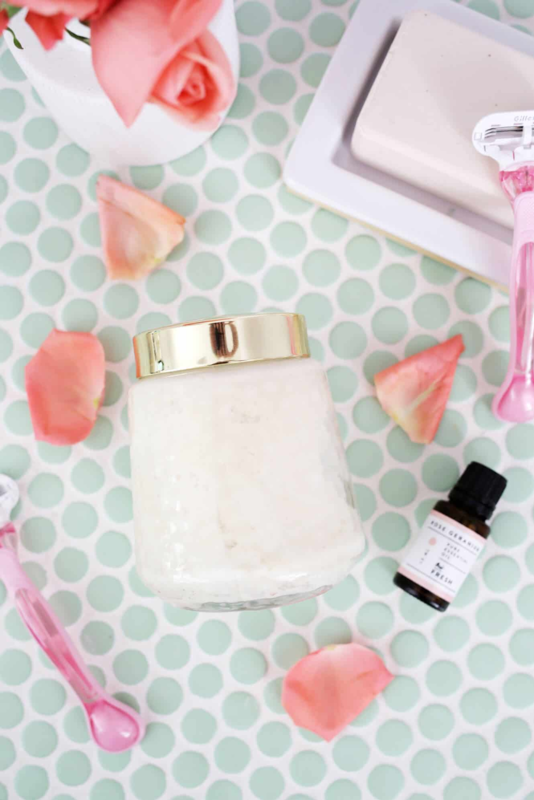 This natural, whipped shaving cream is made with shea butter, rose geranium essential oil, and other moisturizing ingredients. 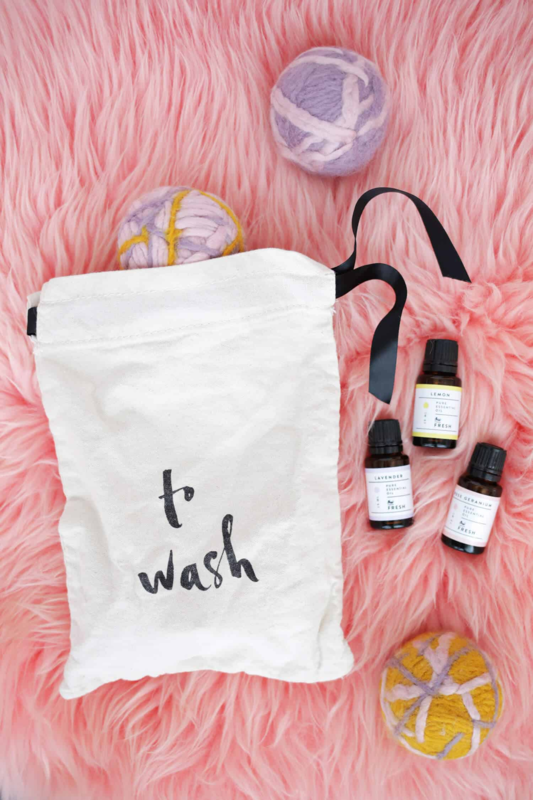 Once you get a feel for essential oils, it’s fun to mix them together to make your own blends. Here are a few recipes to try at home. 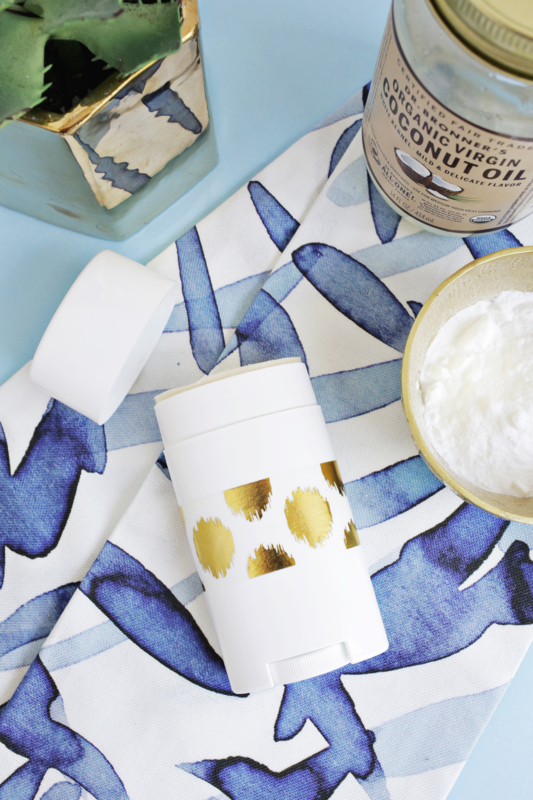 Wanting to make the switch to natural deodorant? We love this one. 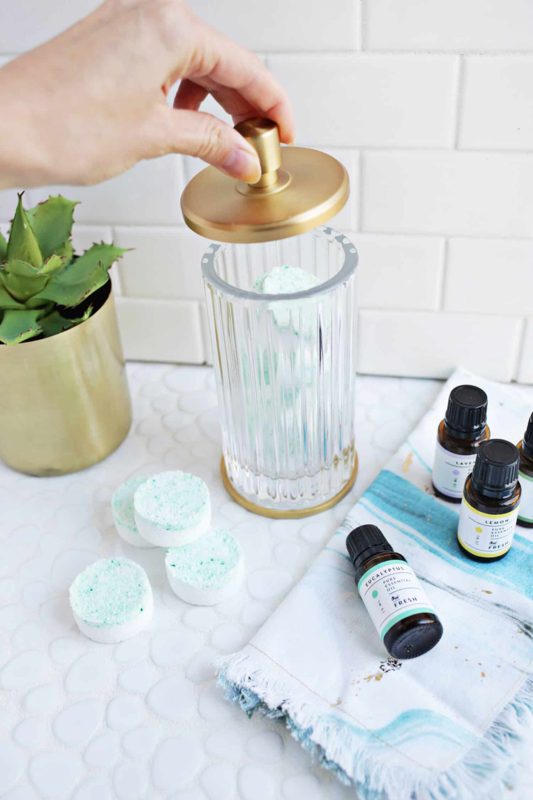 It’s so easy to make your own dish soap, and this formula is way more gentle on your hands (and won’t smell artificial). 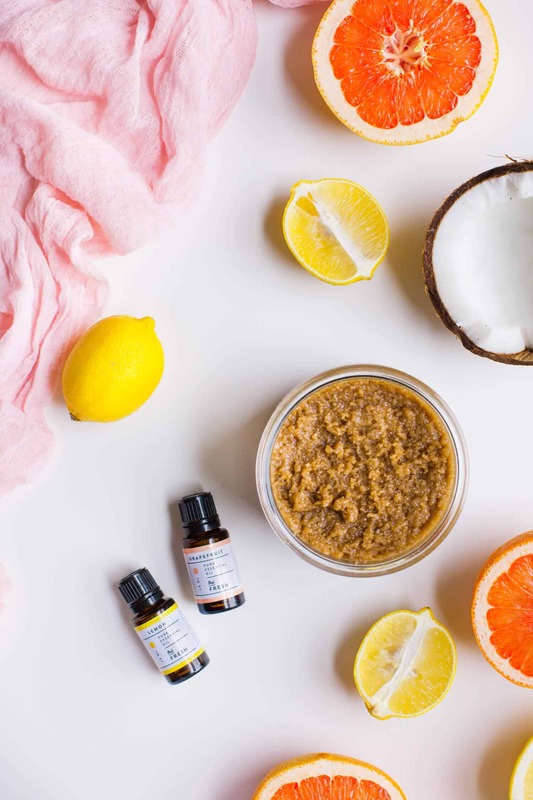 Since most of these DIY’s include essential oils, we just have to brag for a minute. We are so passionate about our essential oils. 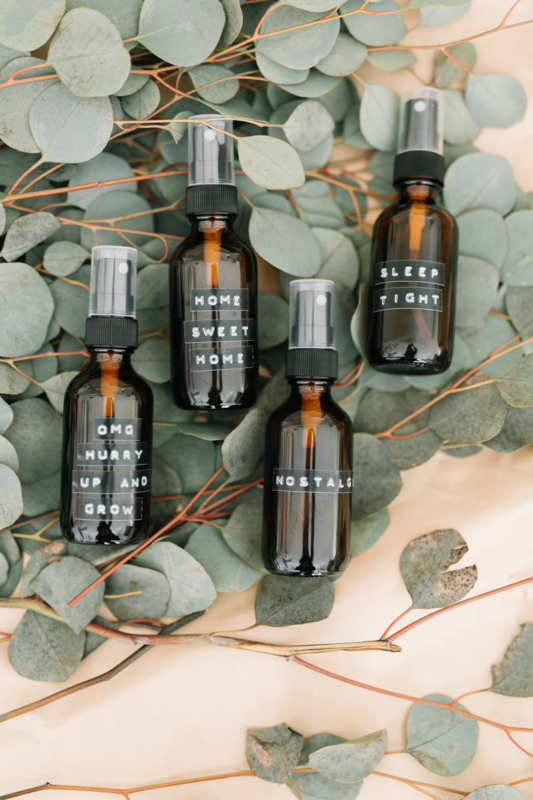 We have single oils, blends, and mini oil sets (for skincare, relaxation, and more), all available in our shop. Click here to see all of them! 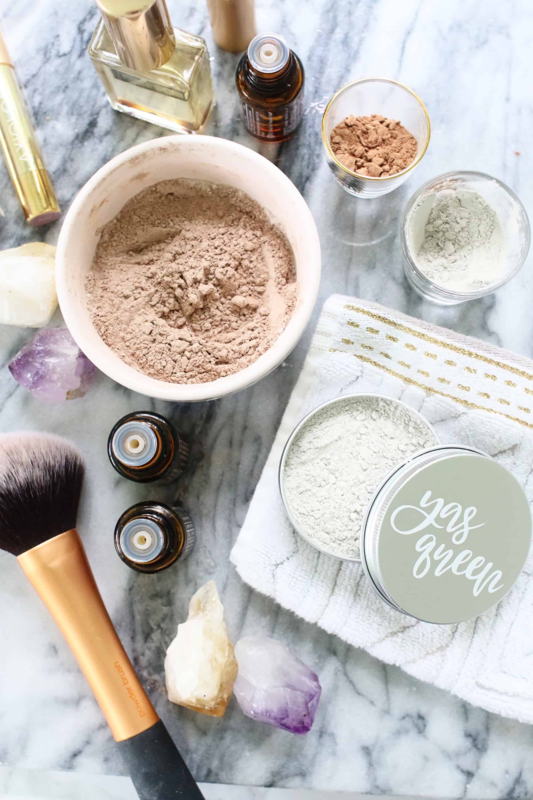 And, if you want to replace any of your beauty products with clean brands, we have a monthly subscription box filled with cruelty-free, natural, and indie products. 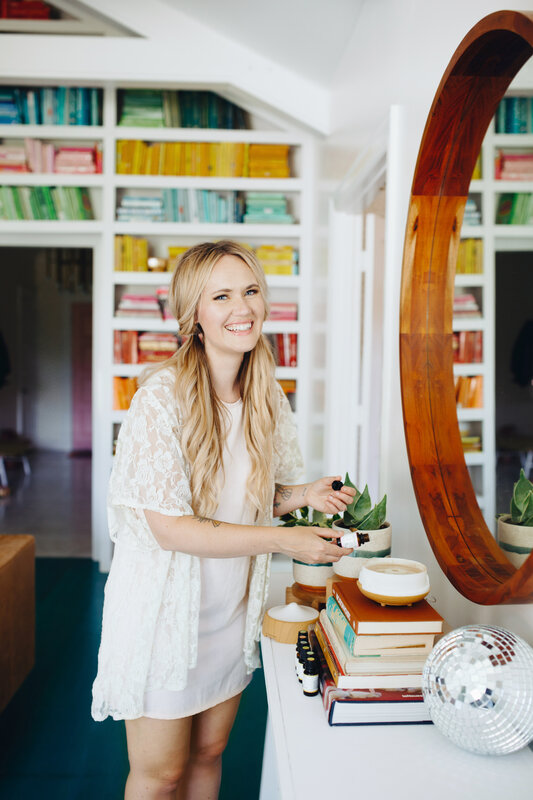 And, we usually include 1-3 full-sized products each month, and it’s fun to try different brands—and get a feel for the clean beauty industry. We love where it’s headed! Absolutely LOVED this post! We are working towards an entirely waste-free home so these have provided lots of ideas 🙂 Our city is pretty dang climate conscious and has already outlawed all plastic bags and straws! Will definitely be doing the reusable “paper towels”, the shower melts (flu season – eeep!) and the dryer balls! So many helpful ideas I would have never though of trying! Thanks for sharing! Thank you SO much for this post! You really wrapped it up and rounded it off for a one stop shop. This post is getting bookmarked!